Use these precast concrete bollards to line your corporate drive, control traffic flow or heighten security around walkways. 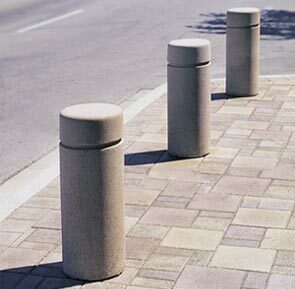 These column style bollards are aesthetically pleasing, fully functional and durable in harsh weather conditions. Available in the color options shown below in either the Weatherstone Concrete and Exposed Aggregate finish.